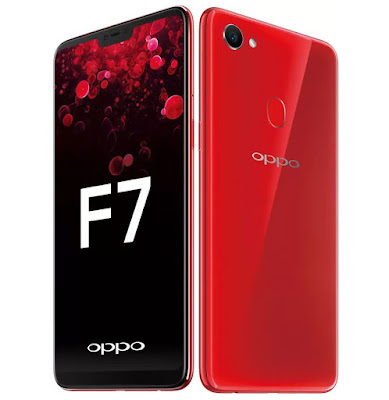 After Vivo V9 now OPPO F7 smartphone gets Rs 2000 price drop in India. It has a 6.23-inch Full HD+19:9 aspect ratio display with a notch and 88% screen-to-body ratio powered by MediaTek Helio P60 12nm SoC with up to 6GB RAM. Dual SIM Device runs new ColorOS 5.0 based on Android 8.1 (Oreo). AI Scene recognition and comes with dedicated dual SIM and microSD slots, and the company also says that both the SIM slots support VoLTE. On Camera, it has a 25-megapixel front camera and a 16-megapixel rear camera with LED flash Packed with a 3400mAh battery with support for A.I battery management. OPPO F7 comes in Solar Red, Moonlight Silver colors priced at Rs. 19,990 for 4GB RAM and Rs 23,990 for 6GB RAM with 128GB storage.